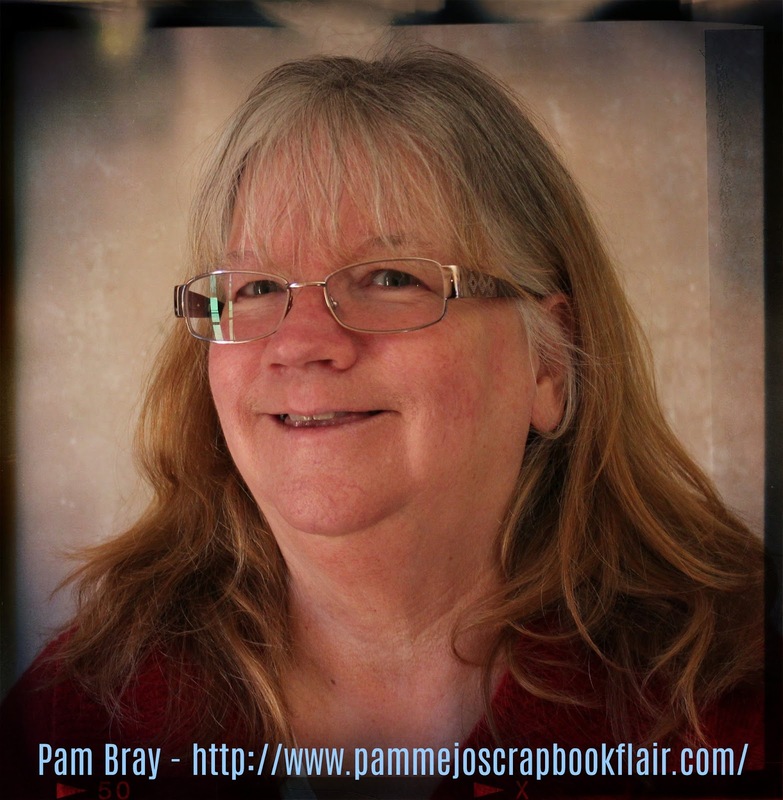 I am so thrilled to have Pam Bray of Pammejoscrapbookflair.com guest posting today. She has such a beautiful style and made my Picture This! Collection, Lovely Set look so sweet! So here’s Pam showing us how she created this beautiful home decor piece. Hi Pam here today!!! 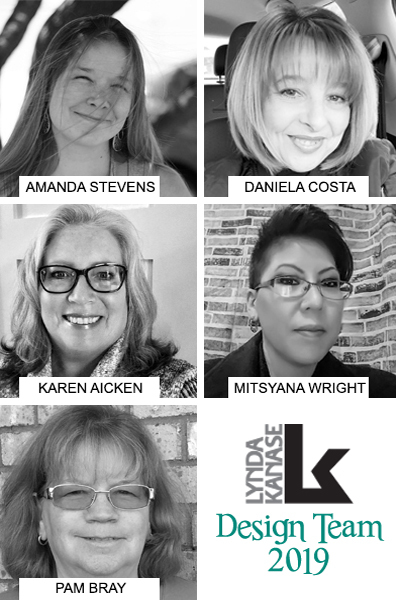 I am so excited that Lynda asked me to do a guest spot! 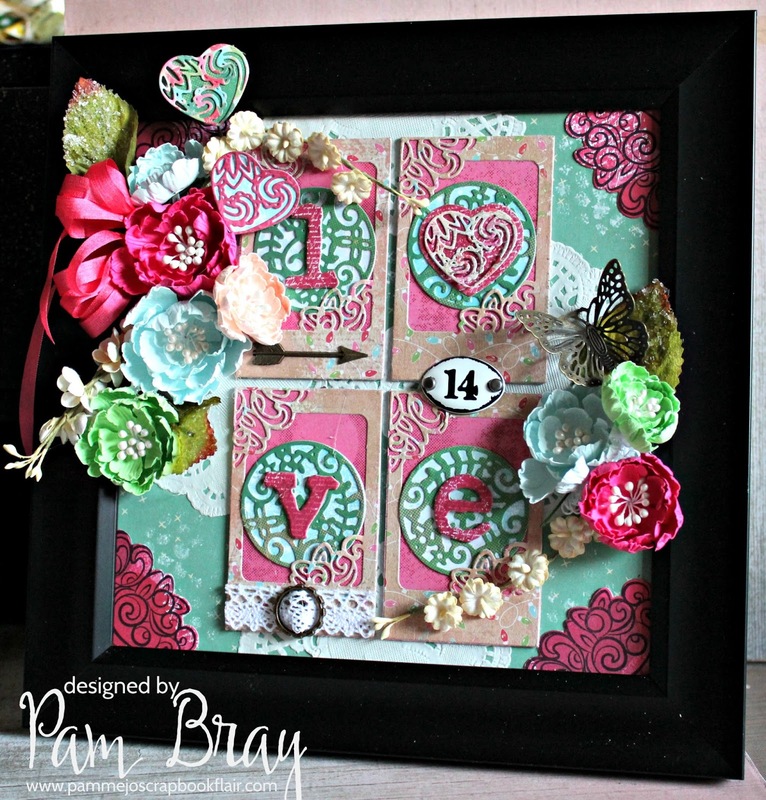 Today I am sharing my Picture This “Love” Frame using Lynda’s Picture This Paper Pad and Lovely Photo Frame Die along with her Succulent Serenity Paper Pad from Sizzix. I just love all her amazing Photo Frames and how well they work together. I love that they also are fabulous for not just planners or photos but for all types of home décor items. Begin by cutting 2 pieces of the Succulent Serenity pattern paper to measure 4″ x 8″; adhere together on a 8″ square canvas. 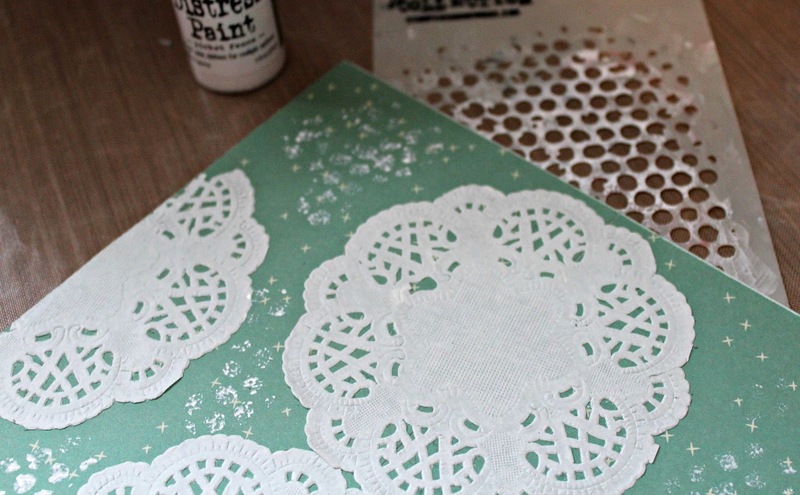 Adhere doilies to top of pattern paper covering up the seam and adding to top of canvas. Lay stencil on prepared canvas; apply paint. Stamp corner image from the Lovely Photo Frame Set with black ink four times on to paper from the Picture This Paper Pad. Die cut out; adhere to each corner. Die cut 4 of the Photo Frames from the Lovely Photo Frame Set; adhere to pattern paper from the Picture This Paper Pad. Add prepared frames to top of canvas. Die cut “L, V, and E” letters from pattern paper and chipboard. Adhere together. 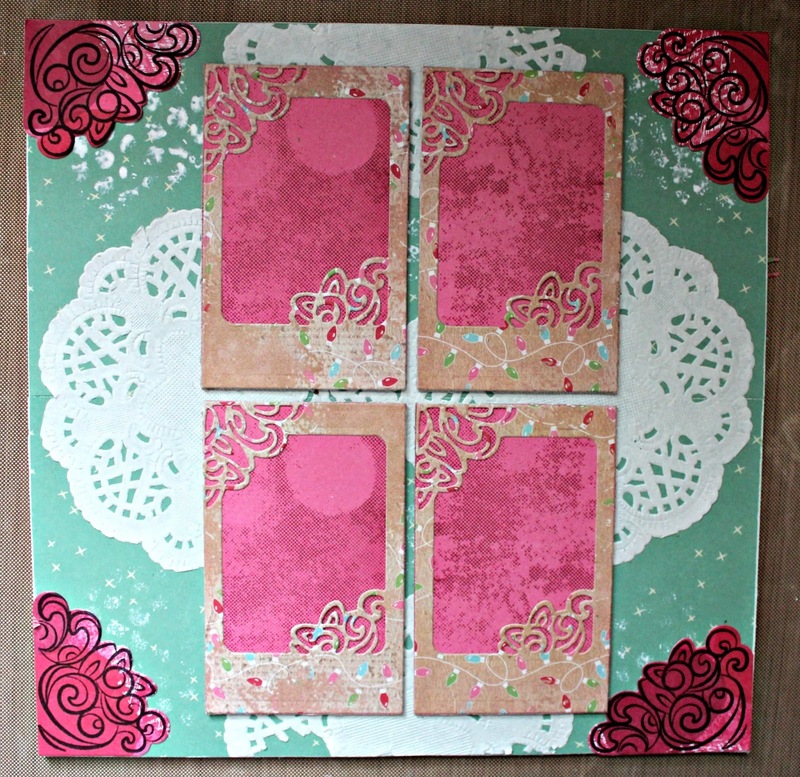 Die cut 4 doilies and punch 4 circles; adhere together. 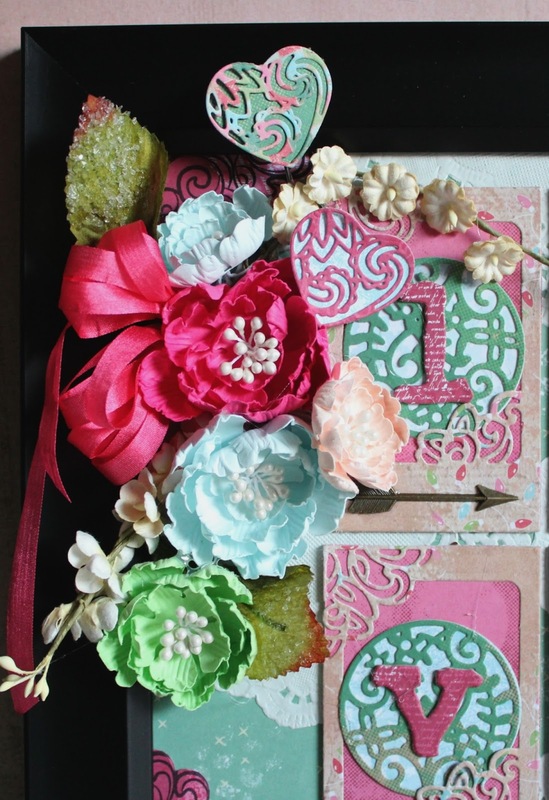 Place each letter on center of prepared doily circles. 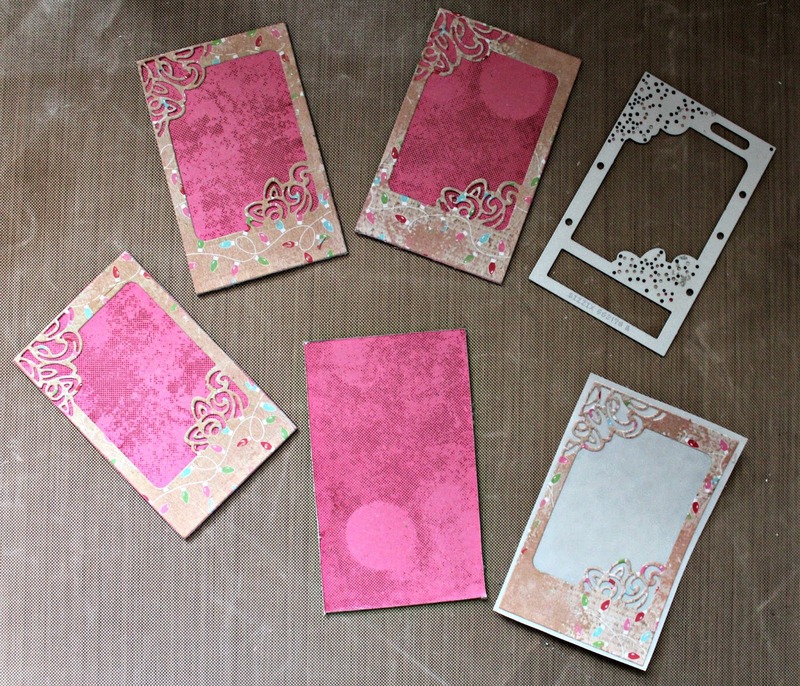 Die cut filigree heart and heart from Lovely Photo Frame set; adhere together. 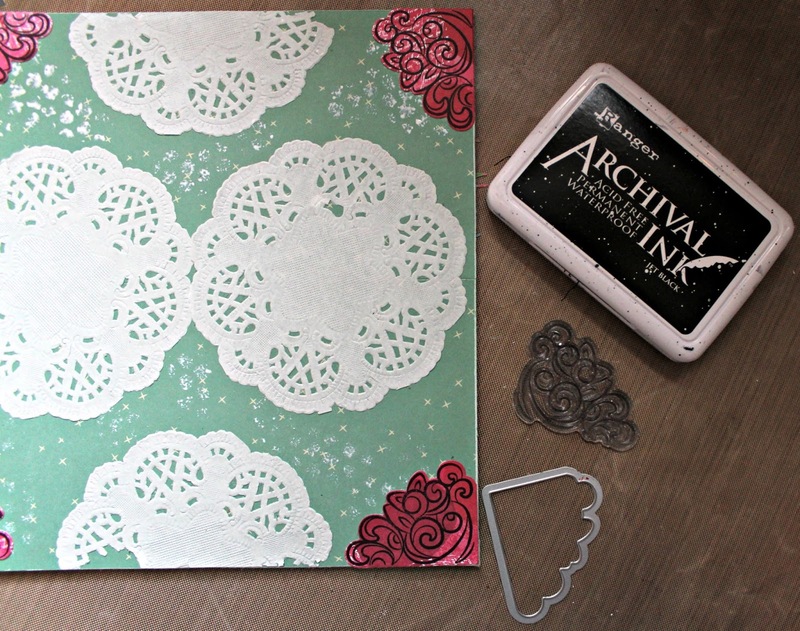 Add to top of prepared doily circle. Adhere flowers to frame. 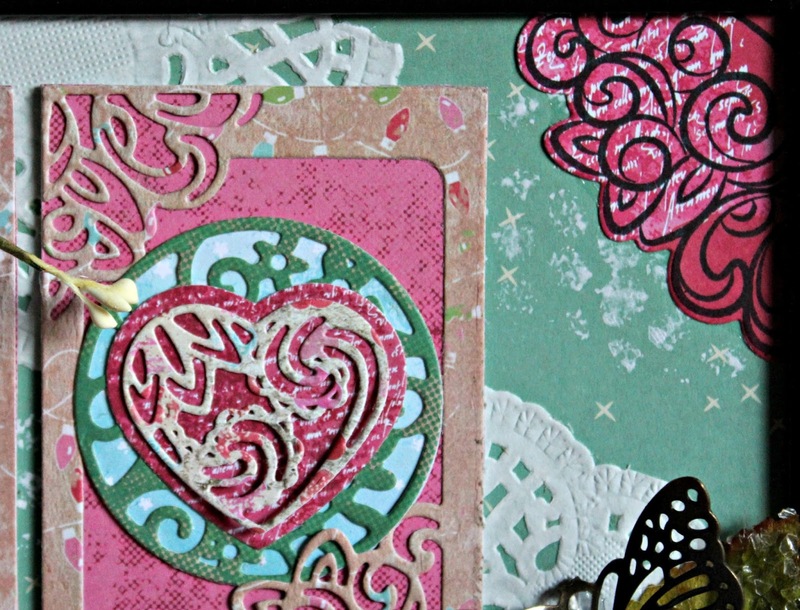 Die cut 2 filigree heart and background heart from the Lovely Photo Frame set; adhere together. Place on metal photo picks. Add to top of flowers. Decorate frames with metals and lace. Add more flowers to the lower edge of frame along with a metal butterfly. Thanks Lynda for the honor of being a guest on your blog. 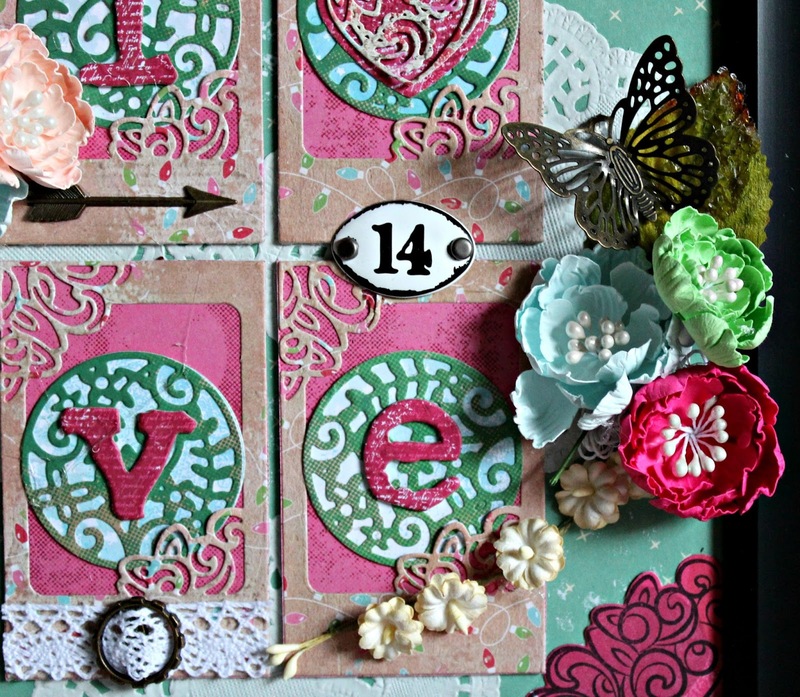 Love your dies and papers. 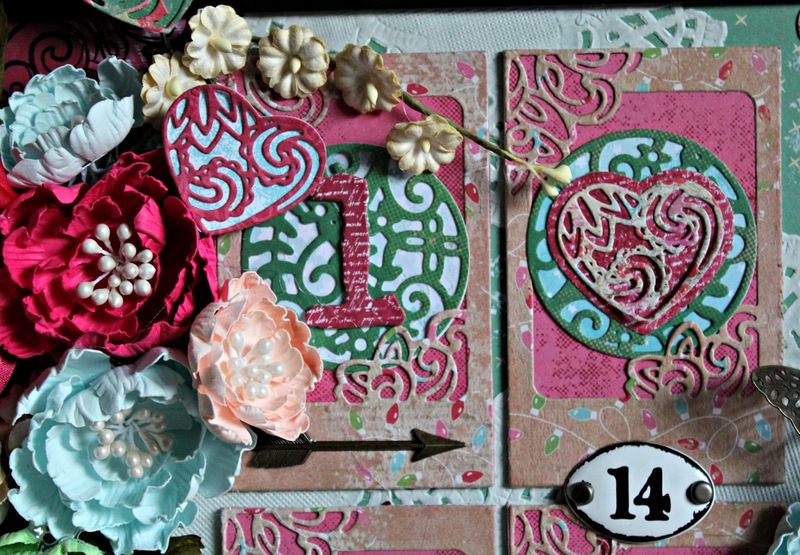 It is cold, snowy and icy here this week…so I am going to do some more creating!